I have tried many a Yorkshire pudding recipe in my day including the package mix, and nothing really ever tasted spectacular. I work a lot of night shifts with my friend Sara (with no ‘h’! ), and she is a fantastic cook and baker. 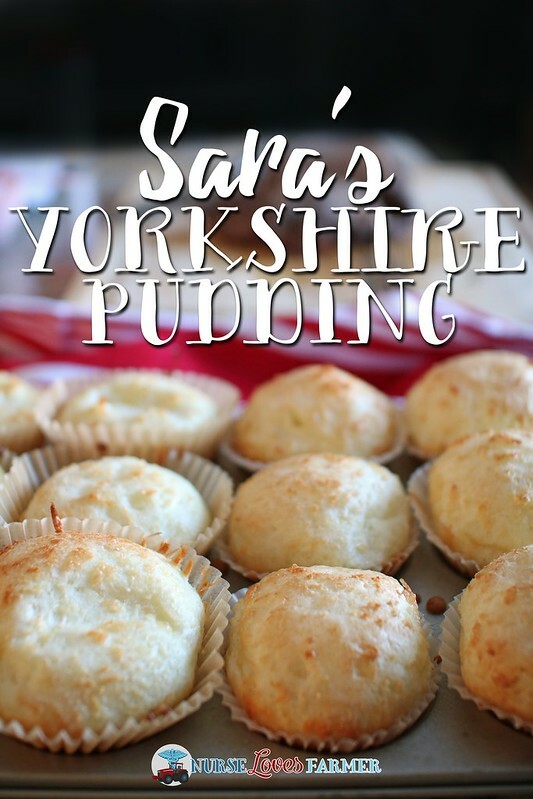 We got on the topic of Yorkshire pudding and she sent me this fool-proof Yorkshire pudding recipe, and I’ll never try another one again. It goes so perfect with roast beef and Braden loves to take the leftover Yorkshires in his lunch the next day. 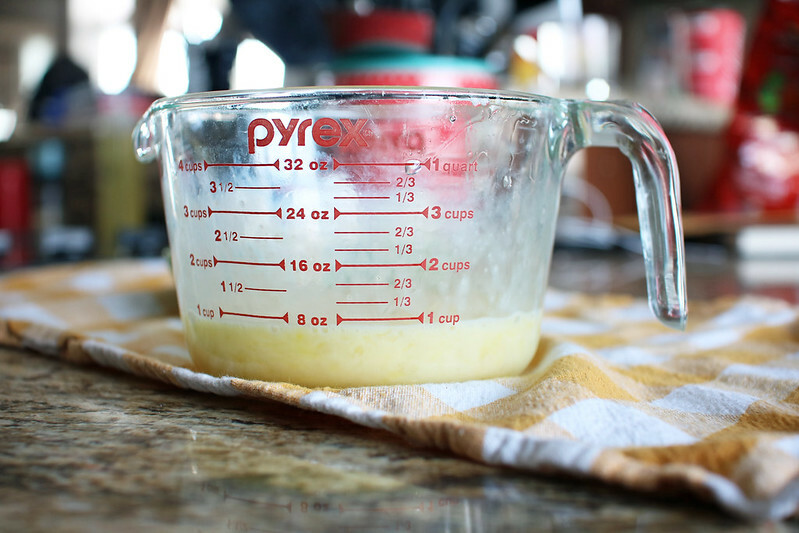 Crack 4 eggs into a liquid measuring cup and take note exactly what amount of liquid it equals. You can mark it with a piece of tape or erasable marker, if that helps. Empty eggs into mixing bowl and pour exact same amount of milk into the measuring cup; it’s usually just shy of 1 cup when I use extra large eggs. Pour milk into measuring bowl with eggs and whisk well together, let stand for 15 minutes. Add equal amount of flour to what you measured out for your eggs in the first place—again, when I use extra large it’s just shy of 1 cup of flour—and whisk well together. Let rest covered all day, and even overnight, in fridge until ready to use. When ready to bake, pre-heat oven to 400ºF and prepare 12 muffin tins. I like to use Sara’s hack of using extra large parchment muffin wrappers for super easy clean up. These get so big that you’re going to lose some to the tins unless you grease them really well. Add about 1 tsp salted butted into each muffin tin and cook for about 5 minutes or until butter is sizzling, it’s okay if it gets a little brown, but don’t let burn. Pour equal amounts of batter into 12 tins and cook for 25 minutes until golden brown! 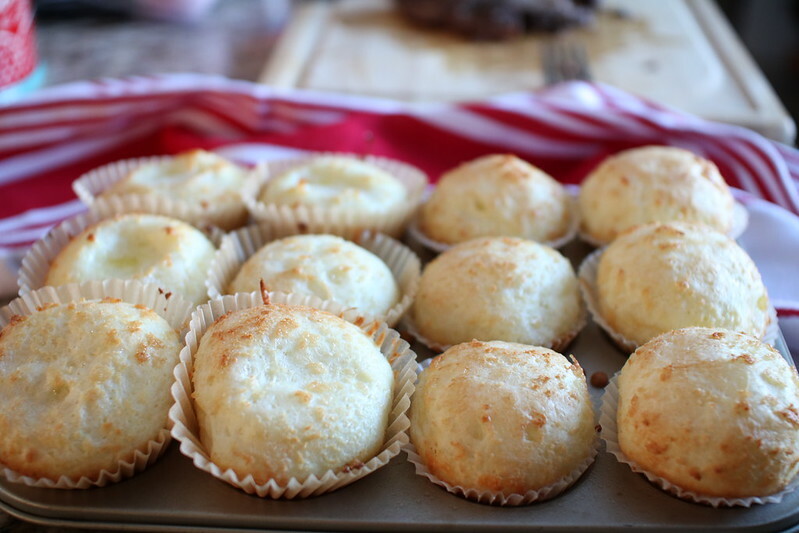 Now, these will deflate, but it certainly does not affect the taste, and these are fantastic and pair perfectly with a nice pot roast and gravy! Crack 4 eggs into a liquid measuring cup and take note exactly what amount of liquid it equals. You can mark it with a piece of tape or erasable marker, if that helps. Empty eggs into mixing bowl and pour exact same amount of milk into the measuring cup; it's usually just shy of 1 cup when using extra large eggs. 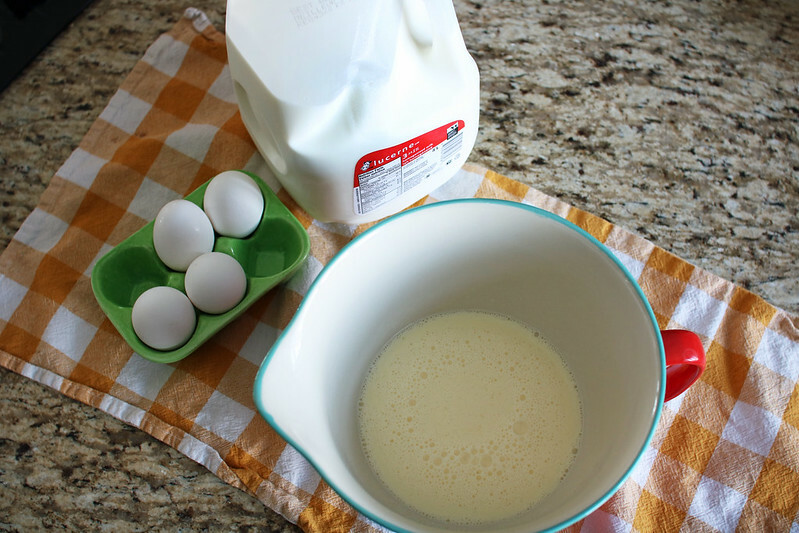 Pour milk into measuring bowl with eggs and whisk well together, let stand for 15 minutes. Add equal amount of flour to what you measured out for your eggs in the first place---again, when I use extra large it's just shy of 1 cup of flour---and whisk well together. Let rest covered all day, and even overnight, in fridge until ready to use. When ready to bake, pre-heat oven to 400ºF and prepare 12 muffin tins. I like to prep by using extra large parchment muffin wrappers for super easy clean up. These get so big that you're going to lose some to the tins unless you grease them really well. Add about 1 tsp salted butted into each muffin tin and cook for about 5 minutes or until butter is sizzling, it's okay if it gets a little brown, but don't let burn. Pour equal amounts of batter into 12 tins and cook for 25 minutes until golden brown. From one Sara to another 😉 I hope you enjoy!